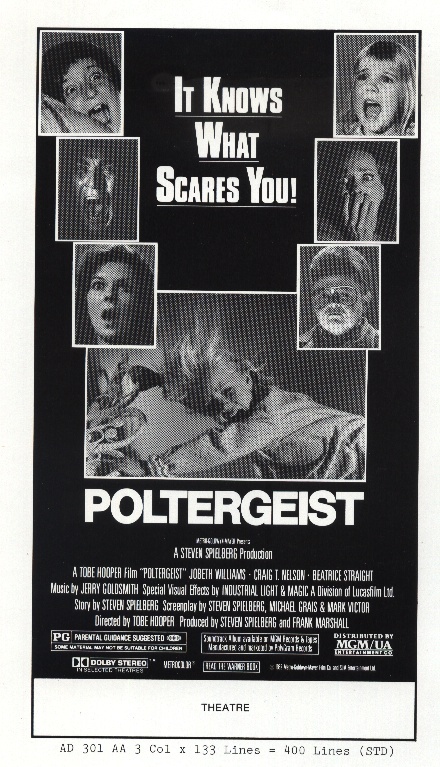 "I have now spent HOURS surfing your meticulous and impressive site on the POLTERGEIST movie(s). Very informative and inspiring, especially as this movie has been very formative on my development as a film score composer. Kudos to you for doing this work." 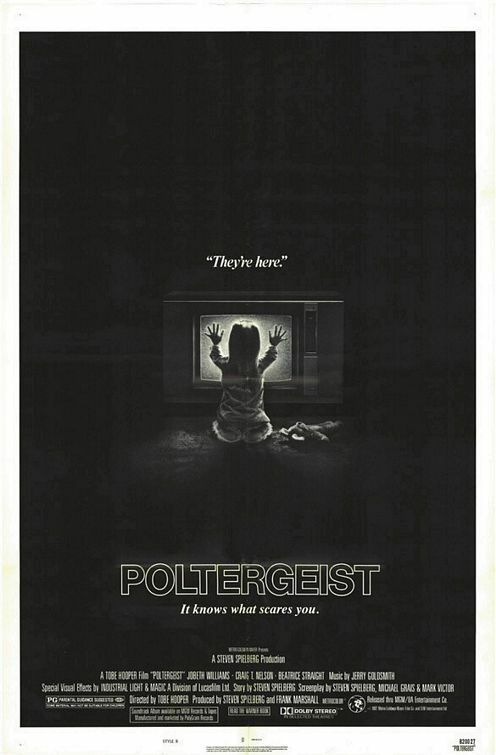 "'Poltergeist' is an effective thriller, not so much because of the special effects, as because Hooper and Spielberg have tried to see the movie's strange events through the eyes of the family members, instead of just standing back and letting the special effects overwhelm the cast along with the audience." "Probably the best ghost movie I have ever seen. The movie has everything going for it. Start with the characters. The Freeling family feels like a true one. The chemistry between all those who compose the unit is astounding. I swear to god I really believed Craig T. Nelson was married to JoBeth Williams…damn…I still do! The film establishes its character from the first frame and we really get to care about these people. The film’s interpretation of suburban life is on the money. From the football game gathering, the remote control wars (funny stuff) and the parents smoking a little bit of that sweet cheeba on the side." Back in 2007, for the film's 25th Anniversary, I got to attend a screening at the Aero Theater in Santa Monica. Afterwards, there was a 30 minute Q and A with co-writer Mark Victor and actors James Karen and Zelda Rubinstein. Here it is. I recently had the great pleasure of speaking with Cameron Cloutier for his podcast Obnoxious and Anonymous. 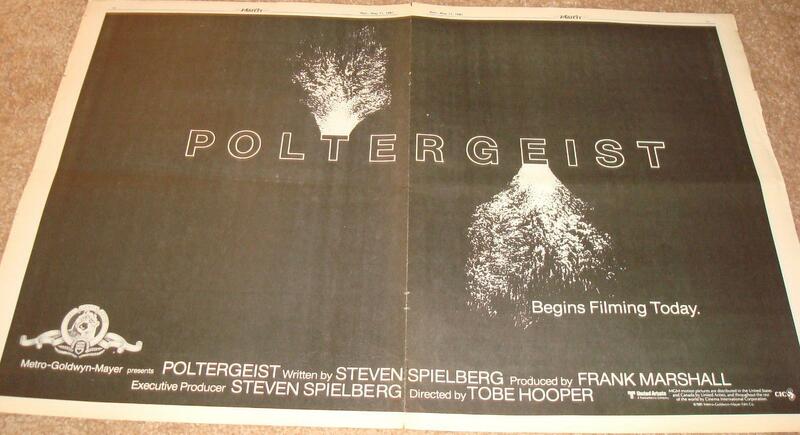 We did a full-length audio commentary for "Poltergeist." Here it is. Enjoy! Here's a "Variety" ad from Monday May 11, 1981 announcing the first day of filming. Found it at this Ebay auction. Deleted Scene featuring Beatrice Straight and a never before seen character! Above is a deleted scene featuring Dr. Lesh (Beatrice Straight) and her mentor at the University, Dr. Anthony Farrow. Farrow was portrayed by the late veteran actor Edward Ashley, star of many classic Hollywood films including 1940's "Pride and Prejudice" (http://www.imdb.com/name/nm0039049/). 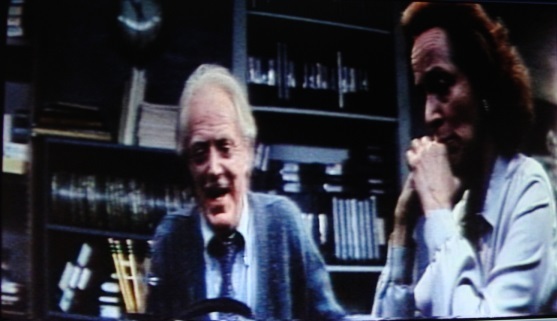 This scene featured the two characters discussing the video tapes Lesh's team filmed at the Freeling house, and Farrow's suggestion that Lesh bring in "her big guns" to help (Tangina). It also featured a bit of foreshadowing as Ashley notices something interesting that materialized with the pile of jewelry that fell from the "bilocation" point in the ceiling. While sadly this scene was cut from the film, it was featured in the novelization by James Kahn. As to whether footage from this scene still exists, the answer is.....YES.